Protect your iPad Mini with style, with this Sand Feel hard case. Made of durable material, it fits .. The feeling of this hardshell case ensures its quality! Protect your iPad mini from dust and scratch.. 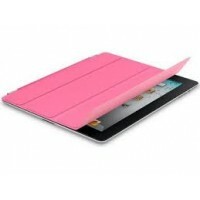 The most functional case specially designed for iPad 3 is ready! Slim, resistant case with.. The most functional case specially designed for iPad Air is ready! Slim, resistant case wi.. The most functional case specially designed for iPad mini 2 is ready! Slim, resistant case with.. The most functional case specially designed for iPad mini 2 is ready! Slim, resistant case with magn.. The most functional case specially designed for iPad 2/ iPad 3 is ready! Slim, resistant case w.. The most functional case specially designed for the new iPad mini 2 is ready! Slim, resist.. The most functional case specially designed for the new iPad mini is ready! Slim, resistan..